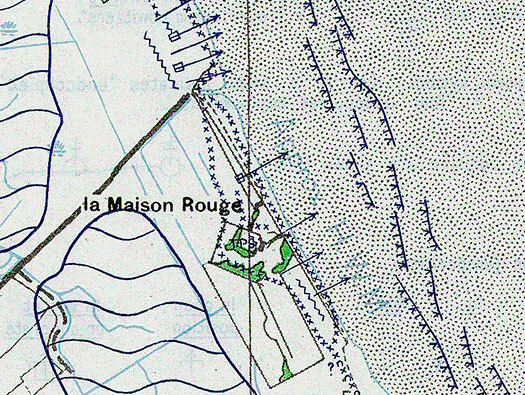 La Maison Rouge, K.V.U.Gruppe St Vaast, K.V.Gruppe Cotentin Ost. The house in the south and the 'Pilz' mushroom bunker in the north. The Vf/MG 'Pilz' and the house behind. Vf/MG 'Pilz' inside with three machine gun embrasures. Vf/MG 'Pilz' machine gun embrasure..
Vf/MG 'Pilz' with what looks like a trench or gun position, now grown over. The old house has seen a lot. Soldiers billeted in private houses. Mason Rouge and the rectangle behind I believe was an old French fort, one of many around the coast to ward off probably the English. 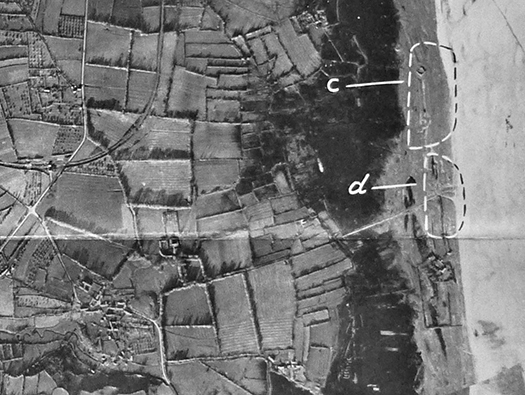 An Allied Tactical Target photo 5th January 1944 showing the two small defences. 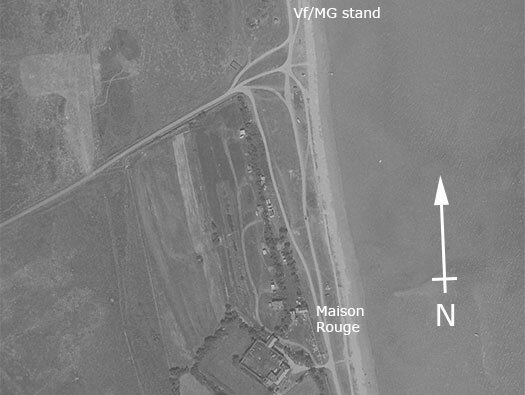 c - Maison Rouge nord. 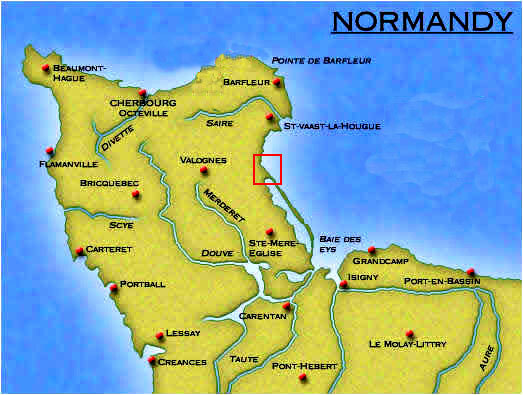 A section taken from the Bigot map made by the Allies before they landed and its their interpretation of what they thought was here. Lt Guy Vourch OC 1 (French) Troop.